Comments Needed on Mattole Forest road building, Offshore Oil and wild Smith River! Deep in the fog-shrouded coastal forests in the hills above the ocean in southern Humboldt county, a new logging road is planned that has no good reason to be built. This area of old forest, mostly Doug Fir and other species in the Mattole River watershed, is one of the few areas outsides of the now publicly-owned Headwaters Reserve that was left in fairly pristine shape by the old, rapacious Pacific Lumber. 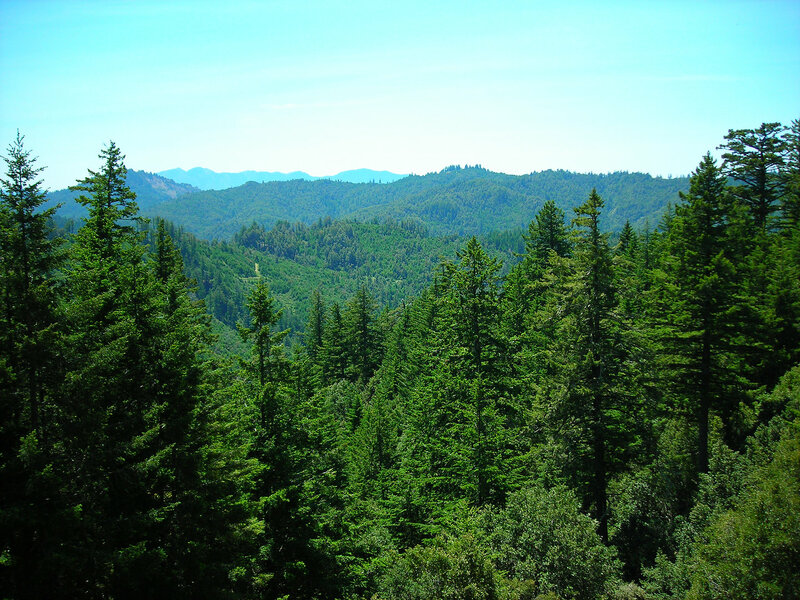 But the timber company that bought the forestland from PL/Maxxam—Humboldt Redwood Co. (HRC)—is not leaving it alone. 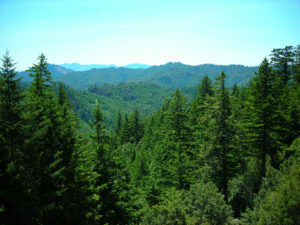 Activists have had a long-standing blockade (see previous Mattole BACH alert) to protect the forests from incursions. Many months ago, forest defenders blockaded HRC’s only access road to several bad Timber Harvest Plans (THP) throughout most of 2017 to prevent deforestation on Long Ridge. HRC’s true reason for needing a new road is to go around the blockaders. The last few days to submit comments objecting to the road is upon us. Below is an email address to send comments to, and some suggestions from Mattole activists. A tip: It is better to ask questions that the permitting agency is bound to respond to than to rail against the idea of a road in a more general sense. The entire amendment to the Timber Harvest Plan is based on a 2014 site visit and imagery from the Google Earth website. Is it standard practice for Calfire to accept plans so bereft of current, on-the-ground information? Why is this road needed when there is already an access road? There is no discussion of the biological implications of cutting the grove of trees next to the rock outcropping or excavating the hillside. Why not? What volume of greenhouse gas will be released by the construction process, including soil excavation, tree cutting and tree root excavation? There is no discussion of the underground biomass/sequestered carbon located in the project site. Why not? There is no discussion of habitat for prey species of Spotted Owl located within project site. Why not? Won’t slumping and gullying be exacerbated by road building? Send your comments today! It matters. Stay away from California’s Coast! Trump’s Interior Dept. Secretary Ryan Zinke recently announced plans to dramatically expand offshore oil drilling in coastal waters around the U.S., including California (for the first time in 30 years in this state.). An analysis of the draft plan by the Center for Biological Diversity found that consuming the recoverable oil and gas in the planning areas would release almost 50 billion tons of carbon dioxide pollution into the atmosphere and oceans, worsening climate change. We’ve been through this battle before—at least those of us old enough to remember the impact of the gigantic oil spill off the Santa Barbara coast in 1969 that effectively kicked off the modern environmental activism movement in California, so horrified was the public at the spill. Offshore oil drilling is inherently and universally disastrous for wildlife, coastal ecosystems and coastal communities, always comes with oil spills, and hugely exacerbates climate chaos. “Trump’s trying to turn our oceans into oilfields. The draft plan for nationwide offshore oil and gas leases would significantly expand offshore drilling by offering leases in waters off Alaska, the Atlantic and Pacific oceans, and Eastern Gulf of Mexico. If approved, the plan would open up oceans that have largely been off limits to oil drilling, including areas in the Arctic and Atlantic where Trump is trying to revoke permanent protections.The proposal also includes seven lease sales off the Pacific, including off all of California, Washington and Oregon where leasing is opposed by West Coast governors, numerous coastal communities and has not occurred since 1984. Similarly, areas in the Atlantic are on the table despite broad opposition of local communities on the East Coast. Under the proposal, 47 lease sales would be held for federal waters in the outer continental shelf. Two of the proposed sales would be for waters off Central California—the first would occur in 2021 and the second in 2023. If you missed the big demonstrations that just happened in Sacramento, there’s another chance to raise your voice! The public has until March 9 to weigh in on the proposal. Once again the state has no plans to halt the illegal contamination of California’s last undammed river and healthy wild salmon stream, and the poisoning of an entire town. Matthias St. John, the executive officer of the California North Coast Regional Water Quality Control Board, needs to hear from us. Ask him to reverse the state’s illegal refusal to take action to stop pesticide contamination of the vital Smith River estuary.